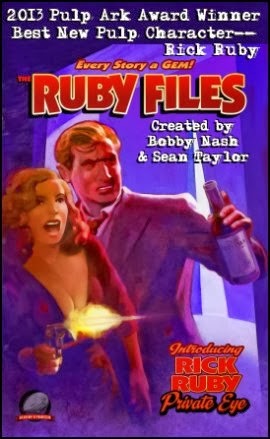 Author Mandi M. Lynch interviewed The Pulp Factory's own Bobby Nash for the Book In The Bag website’s Writer Wednesday segment. You can check out the full interview here. Thanks again to Mandi for a fun interview. Airship 27 Productions delves into the world of fantasy adventure with an action packed novel set in the days of the Russian empire building. For generations, the freedom loving Cossacks battled their enemies; the Ottoman Turks and Crimean Tartars for the supremacy of the rugged Steppes. Frustrated by the constant raids of these reckless, horse-riding warriors, Constantinople prepares a major campaign that will end the Cossacks and their way of life forever. Realizing they are severely outnumbered against such a Turkish reprisal, the Cossack Headsman seeks out the sorcerer Alexsandr with a bold scheme. He wants to Alexsandr to enter the realms of magic and enlist the aid of magical creatures of Slavic myth as allies. With the help of his friend, Commander Marko and the battled hardened Bohun, the wizard must summon all his skills, both martial and arcane, to fulfill his sacred mission and in doing so save his people. In the grand tradition of Robert E. Howard and Harold Lamb, writer Riley Hogan spins a tale of tested comrades about to risk all in a dangerous quest that, if they survive, could lead to the greatest victory in Cossack history. 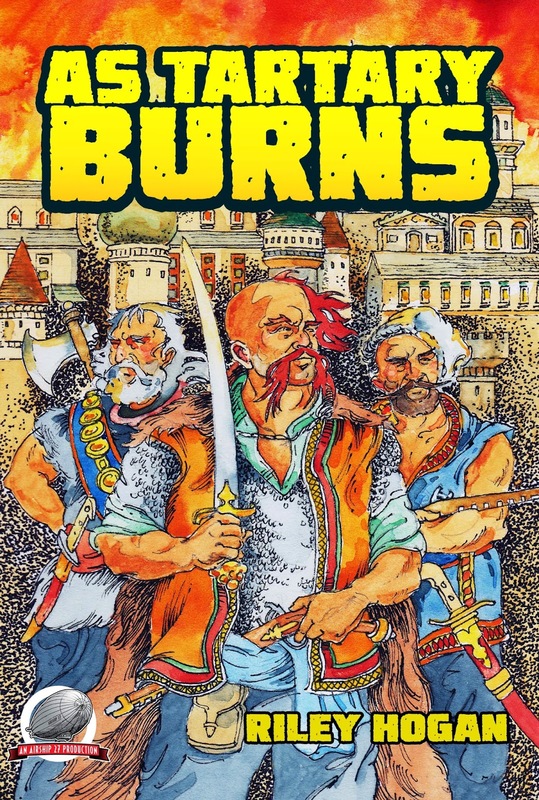 Cover and interior illustrations were created by award-winning graphic artist, James Conahan, the author’s cousin thus making “AS TARTARY BURNS” a true family affair. Book design was provided by Art Director Rob Davis. AIRSHIP 27 PRODUCTIONS – PULP FICTION FOR NEW GENERATION! Now available at Amazon and on Kindle. Also as a $3 PDF download at our website. For the second year in a row, the New Pulp Movement will have a significant presence at this year’s Windy City Pulp & Paper Convention. 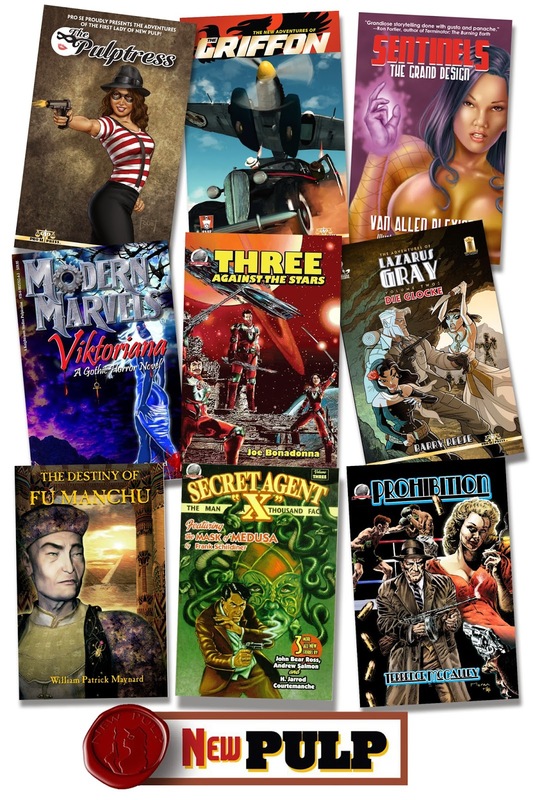 At the request of the con promoter, Ron Fortier and Tommy Hancock have put together an exciting program focusing on the continued growth of this new wave of pulp art and fiction. Events are scheduled for all three days of the show. For the fourth consecutive year, the Pulp Factory Awards will be presented in a short ceremony before Friday evening’s auction. Hosts Rob Davis, Tommy Hancock and Ron Fortier will announce the winners and award them their trophies for; Best Pulp Novel, Best Pulp Short Story, Best Pulp Cover and Best Interior Illustrations. All for works published in 2013. Several New Pulp writers will be present at various publishers’ table throughout the day signing copies of their books. This is a great opportunity for attendees to meet these talented creators and have their books personally autographed. A five hour block of panels covering New Pulp topics and featuring fifteen New Pulp creators. Here is the official schedule to include time, topics and panelists. LEGACIES AND INSPIRATIONS – NEW PULP CHARACTERS AND THE CLASSICS THAT INSPIRED THEM. Writer, editor, publisher of new pulp. One of Jim Beard's proudest moments as a pulp writer has been to deliver one of his own books into the hands of his father, a pulp fan whose love of the medium inspired Jim's own passion to write it. Jim's the writer of SGT. 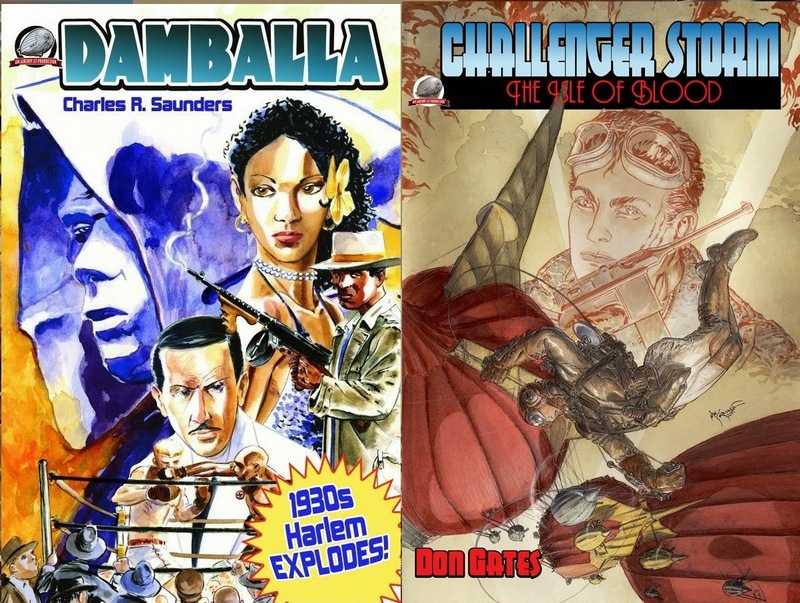 JANUS, SPIRIT-BREAKER and the Captain Action pulp novels, as well as the co-creator of MONSTER EARTH and other other pulp works. Is the author of twenty books and over one-hundred short stories and articles. His latest novel is Chimes at Midnight and he is also writing the Mack Bolan Executioner series. Having two stories in Sherlock Holmes Consulting Detective fulfills his lifelong ambition to write a Sherlock Holmes story. Professional graphic artist and Award-winning Illustrator and Graphic Designer since 1986. Primarily a storytelling artist in the comics medium Rob has worked for a diverse set of comics publications and publishers including Marvel, DC, and Malibu. 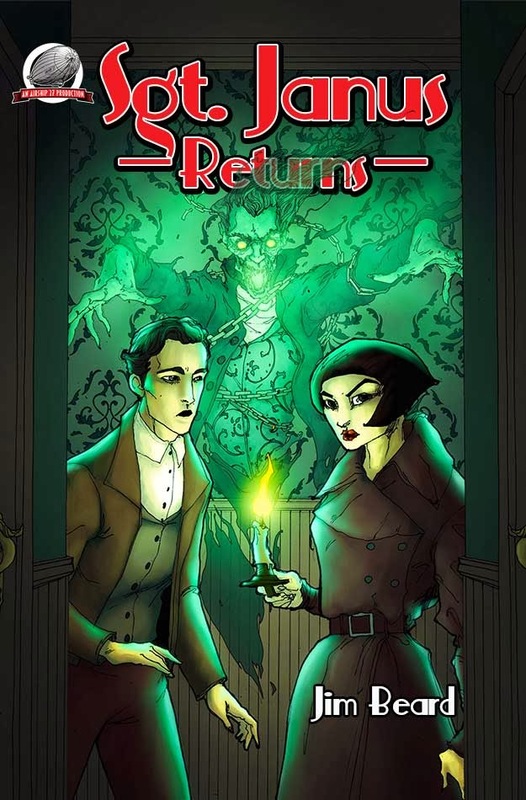 Rob also does logo and cover design as well as interior illustrations and design of books for Airship 27 Productions where he is partner and Art Director. Is a proof reader for Radio Archives Assistant Editor for Airship 27 Productions. He is also a marketing consultant for non-profits and small businesses. He writes for a variety of outlets about pulp, comics, and a variety of other topics, including Blog THIS, Pal, Comic Related, I Hear of Sherlock, and Chicago Now. His short story “Out There In the Night” made its debut in last October’s Les Vamps anthology and he will have some stories published later this year. Writer - creator and scribe of the Rick Steele adventure series. A fun pulp adventure romp through the early fifties, with my latest: the Yesterday Men set to release the first of February. A veteran comic book writer, Ron is best known for his Green Hornet & Terminator series. As for pulps, he writes the new adventures of the classic pulp hero Captain Hazzard and his own creation, Brother Bones the Undead Avenger when not acting as Managing Editor of Airship 27 Productions. Works as an Independent Information Technology Consultant. He created the new pulp character Red Badge which appeared in Airship27 Productions’ Mystery Men and Women vol II with Andrew Salmon assisting. A new hero will be appearing the Shamus Directive from Pro Se Productions. His holiday story The Night Before Christmas" featured Santa Claus as the crime fighter. Steeped in pulp magazines, old radio shows, and all things of that era’s pop culture, he is Partner in and Editor in Chief for Pro Se Productions, is an organizer of the New Pulp Movement, original Editor-in-Chief of ALL PULP. He is also an editor for Seven Realms, Dark Oak, and Moonstone. He is also a writer published by Airship 27 Productions, Pulpwork Press, Moonstone Books, with more work from various publishers coming. Tommy is also a Project Coordinator for Moonstone Entertainment. A retired Army National Guard NCO, he and his wife are empty-nesters living in Kansas City. His New Pulp stories have been published by Airship-27, Pro Se Productions and in the on-line Pulp Spirit magazine. Bob’s own imprint, Modern Knights Press, expects to debut its second title "Casebook of the Voice" at the show. He writes under the pen-name of Erwin K. Roberts. Rick Lai is an authority on pulp fiction and the Wold Newton Universe concepts of Philip José Farmer. His speculative articles have been collected in Rick Lai’s Secret Histories: Daring Adventurers, Rick Lai’s Secret Histories: Criminal Masterminds, Chronology of Shadows: A Timeline of The Shadow’s Exploits and The Revised Complete Chronology of Bronze. Rick's fiction has been collected in several volumes from Black Coat Press. Rick regularly appears on the Lovecraft Ezine internet chats. As Director of Corporate Operations for Pro Se, Morgan manages the daily operations of the publishing house, working directly with writers, artists, and editors. She has also been published with co writer Tommy Hancock. She is currently working on her own collection of fictitious heroines including characters such as Scheherazade, the Queen of Arabian Nights, and Marion Stone, the Knights' greatest Weapon, featured in May 2013's edition of Pro Se Presents (under the now retired pen name Alyssa Swift). Is the author of eleven pulp novels and more than two dozen novellas and short stories, in many different genres, from a variety of publishers. He's hit the bestsellers lists in non-fiction for his sports and pop culture books. He also hosts the White Rocket Podcast, discussing all forms of popular culture. He's an Associate Professor at Southwestern Illinois College. Has written adventures featuring Allan Quatermain, Sherlock Holmes, Houdini, and private-eye Rick Ruby for Airship27. His own pulp creation, The Raven, has featured in The Protectors anthology series and was also serialized on the New Pulp website. His pop-culture non-fiction work has featured properties such as Batman, Star Trek, The Beatles, and James Bond. He has also written comics for Tokyopop, BOOM!, Marvel, Disney, and Kid Domino. 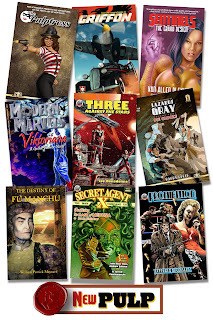 Is the author/illustrator/publisher of the epic Pulp Heroes and Modern Marvels series of pulp adventure novels and short stories, all of which take place in the Infinite Horizons universe published by his Knightraven Studios. Wayne is also the artist for all the books, providing each cover painting and a total of more than eighty full-color interior illustrations. Dave White lives in Lemont, Illinois with his wife of 22 years, and two children, Brandon and Allison. He only recently started writing, and has three published works, with more in the hands of editors. A big comic fan for years, he has jumped in with both feet in the New Pulp Movement, and hopes to continue writing till he can't anymore. Airship 27 Productions is thrilled to announce the release of its first title for 2014. Jim Beard’s original occult investigator, Sgt. Roman Janus returns in a second collection of suspenseful adventures. Or does he? At the end of the first book, SGT. JANUS – SPIRIT BREAKER, our intrepid hero mysteriously vanished into another realm never to be seen again. Now, almost a full year later, a dark haired beauty, with no memory of her own identity, suddenly appears and begins assuming Janus’ role in seeking out troublesome poltergeist and laying them to rest. Aided by a young clerk named Joshua, this mysterious Lady Janus possesses personal knowledge known only to the missing occultist. Who is this strange, daring woman? Is she Janus reincarnated? Or something even more sinister? Aided by gifted artist Zachary Brunner and award winning book designer, Rob Davis, writer Jim Beard once again turns the entire occult genre upside down as he delivers another eight stories filled with suspense, horror and non-stop action all driving to a startling finale pulp fans of weird dare not miss. AIRSHIP 27 PRODUCITONS – PULP FICTION FOR A NEW GENERTION! And as a PDF download from the Airship 27 website. During the course of 2014, it is Airship 27 Productions' plan to get all their titles up on Kindle. And we begin that process with two of our best sellers from the past few years. As of today are available at Amazon for Kindle.